Handle the problems of lost data easily: Accidentally Delete, Formatted Drive, Hard Disk Damage, System Crashed, Virus Attack, System Interrupts, Unexpected Power off and other improper operation. 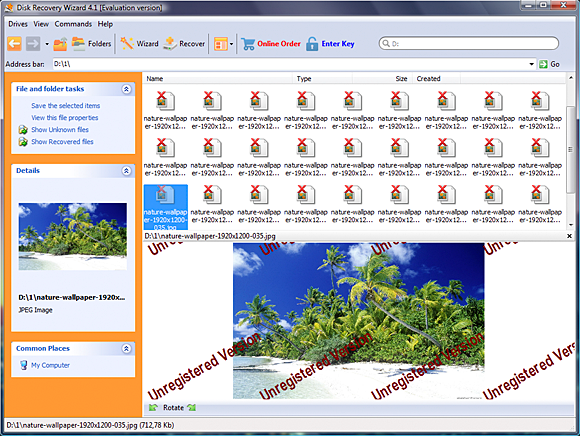 Recover all Lost/ Deleted/ Formatted/ Corrupted Files, including Documents, Pictures, Video, Audio, Email and other files from Computer and other storage devices with NTFS, FAT16, FAT32, exFAT, EXT file system. 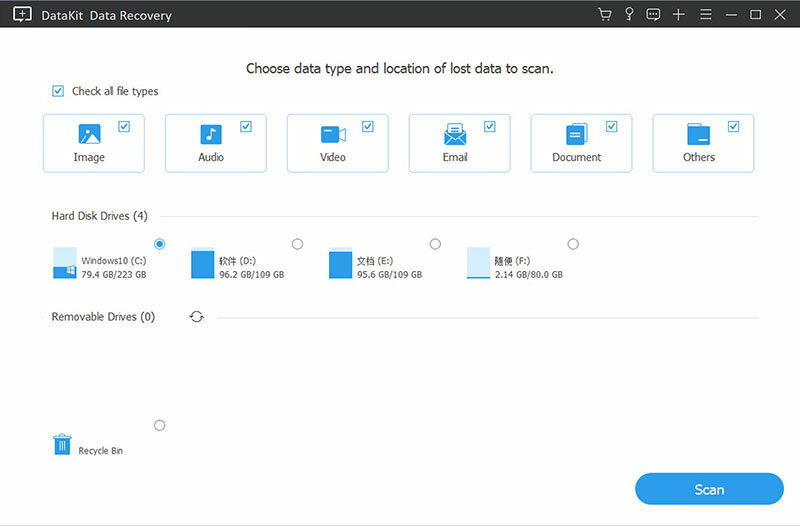 1.Accidentally Deleted Files Recovery: Deep Scan your computer and track down the file path of the deleted files, recover by rebuilding the crushed bytes accurately. 2.Hard Drive Damage Recovery: No matter you hard drive suffer system damage or corrupted, all your lost/inaccessible/hidden/corrupted data can be retrieved with the help of DataKit. 3.Formatted Recovery: Data loss due to formatted Drive does not mean you lost those data forever. You still get a 78% chance to recover them with DataKit, which is the highest Formatted Drive Recovery rate on the market. 4.Partition Recovery: Partition formatting, Re-partition, Mistaken Partition Deletion, Improper Cloning, RAW hard drive, RAW partition or disk, etc. will no longer be the problem to recover the missing files. 5.Virus Infection Recovery (Antivirus Recovery): PC system, especially Windows face a lot of threats from computer virus, worms, Trojan horses, and other malware in everyday usage. You need to use DataKit to retrieve those deleted/damaged by virus attacks, also by Antivirus software. 7.System Crash Recovery: Data can be tracked down and recovered with bootable media under WinPE environment, although the files were erased/deleted/formatted because of the system upgrade, system crashed. NTFS Recovery software is an amazing recovery solution for Windows users to restore hard disk data. If you have lost data from the hard disk containing NTFS file system due to any reason, be it accidental deletion or corruption, you must download this best data recovery software to recover maximum possible data. It can restore data in their original form and save them at user-defined location. It’s available with free demo version, users must download its demo version for free evaluation. * Support all popular Windows operating systems, including the latest Win 10.